San Jose, California — Meet the BCV-910, an intelligent, panel mounted, stepper motor driven, quick change, proportional, pinch valve for high-purity single-use applications. Onboard intelligence provides stand alone control for Cross Flow Filtration [CFF], Tangential Flow Filtration [TFF] modules and automated blending systems. Targeted at the Biopharm OEM and similar markets, the BCV-910 provides automatic control of pressure or flow rates in flexible tubing systems including braided tubing applications. Internal microprocessor controls monitor external sensors and continuously adjust valve position accordingly. All exposed surfaces are electropolished 316L Stainless Steel. The device mounts in a standard ¼ DIN panel cut-out for a clean, uncluttered installation — all electrical connections are located behind the panel. 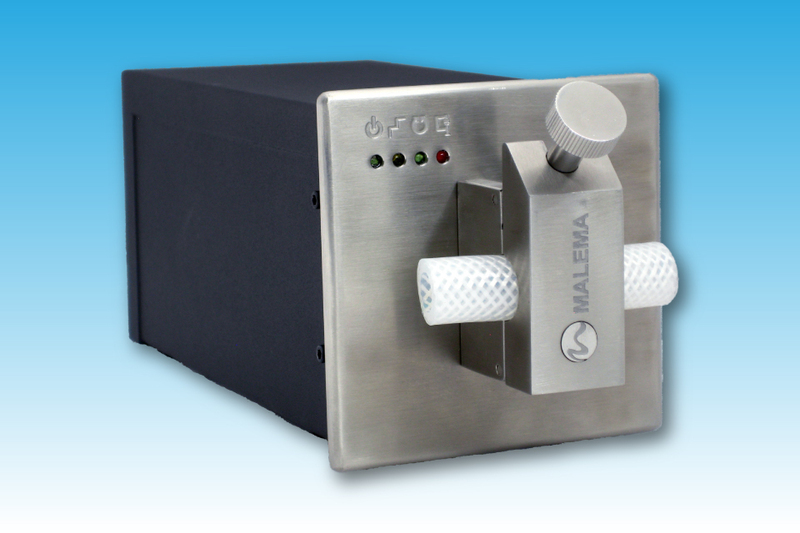 Malema Sensors® BCV-910 models are available for tubing sizes from 3/8” through 1” ID and for pressures to 50 psig. The BCV-910 supports wash-down applications with an ingress protection class rating of IP65.